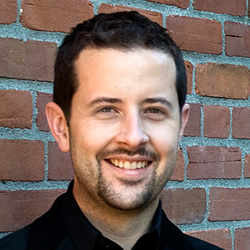 Chris Goward is Co-Founder and CEO of WiderFunnel Marketing Optimization. The company’s Conversion Optimization methods have helped clients improve online results by up to 400% for lead generation and e-commerce sales. Chris is in demand as a speaker throughout North America and Europe. His work has been published in Marketing Sherpa, Search Engine Watch, the Google blog, Search Engine Marketing Journal and DM News. WiderFunnel are conversion rate experts. In my interview with Chris Goward, we discuss optimization strategy, process and the affect the dreaded popup window has on conversions. Oli: How much do you think each part plays a factor in improving the conversion rate of a landing page? Chris: I would agree that conversion optimization is equal parts science and art. There is much qualitative research and a growing body of statistical test results that give insights into why people buy. That’s the science. Yet, the application of those principles effectively requires the trained eye of a conversion artist. It’s one thing to understand that a focused page that minimizes Distraction will improve conversions and another altogether to craft a high converting page. Even beyond that, we find that when we remove the boundaries of proven principles and test truly new ideas is when we expand the body of what we know to work. I always like to throw in a “left field” variation that isolates a hypotheses we’ve never tested before. It might crash and burn, but at least we’ll have learned something new. More often than not, though, we learn something beneficial. For example, in a product page conversion optimization test for BabyAge.com, we tested swapping the left and right columns so the “Add to Cart” button is on the left. That’s a very rare layout for an e-commerce site (and I can’t think of another example), but in this case it lifted revenue significantly! We’ve obviously tested it again on other sites and now know that it was a pretty unique result, which has allowed us to understand more about the “Why” behind the result. Oli: Would it be fair to say that accumulated experience allows elements of the mystery segment to get shifted back into the art & science categories? Chris: Yes. I don’t think there are unknowable CRO principles. Just things that haven’t been tested yet. Yes. I don’t think there are unknowable CRO principles. Just things that haven’t been tested yet. Oli: Following on from the last point, how unique does your approach for each site/page have to be? In other words, do you find it’s possible to develop reusable techniques within a certain industry vertical (for example internet SaaS companies, banking or travel)? Chris: Absolutely, there are common principles we’ve learned (and continue to learn) from the results of thousands of tests. Test results are the basis of the Landing Page Conversion LIFT Framework, which is the framework we use for analyzing landing pages and devising test hypotheses. The particular industry is less important than the visitor context, though. For example, the principles of showing the Call to Action above the fold and maintaining a Relevant scent trail work across industries. The different tactics used on a product page vs. category page vs. landing page vs. home page are more important considerations. Understanding the target audience is also critical to a successful conversion funnel. Some tactics that work when speaking to teenage girls will definitely not work for a B2B audience, for example. We’ve testing many times targeting both of those audiences and they are on different conversion planets, especially from a graphic design perspective. 3. The popup window. Love it or hate it? Oli: A topic I love to debate is the impact of popup windows (or modal layers) on conversion, user experience and brand. What are your thoughts on the use of popups (e.g. on entrance and exit)? Chris: I should clarify a distinction here between user-initiated popups and unexpected ones. Each has its place but I think you’re referring to unexpected popups when you say on entrance and exit. Popups can work very well for lifting conversions. Their impact depends on the context. Popups can work very well for lifting conversions. The brand impact has to be weighed, but in some situations the brand isn’t as important as the immediate conversion. A popup can also be treated in a way that will minimize negative brand effects. It doesn’t have to be distasteful, but can provide a service. The New York Times, for example, has a goal to maximize page view conversions. They are currently using a slide-in popup device at the end of their articles to help with that. It’s an almost irresistible prompt to click to another related article, which may not be your original purpose for being on the site and only serves to lift their advertising revenue. But as a reader, I don’t mind it at all. Popups that are too persistent and don’t have an easy close mechanism are, of course, very annoying and certainly hurt the brand. They don’t even work as well for conversions as a more user-friendly treatment. Oli: In your experience, what affect have you seen on conversion when adding/removing devices like this? Chris: We’ve tended to lift conversions with them, but it’s not the first tactic we’ll try. Our clients tend to have a high value brand that’s often not worth the risk. But when we’ve tested popups on even Fortune 100 companies we’ve seen good results. With popups, audience segmentation is critical to avoid annoying your most valuable repeat visitors. We are careful to only show them to new visitors that have not previous completed the desired conversion, for example. Oli: Do you have an example you can share? Chris: Yes, a kind client of ours, FaveCrafts, was kind enough to give permission for us to share the results of a recent popup subscription conversion optimization test. In this test example we created several design and content variations of a popup with the goal of increasing email newsletter subscriptions. (Result: Increased E-Mail Capture by 22.3%). Oli: Tell me about the models and processes you apply to marketing optimization at Wider Funnel? Chris: Great question, Oli. I’m sure you’ve found, as we have, that the process is more important than tips for Conversion Optimization. There are two important components to our process that we talk about publicly. The first is the Kaizen Method (Kaizen is the Japanese term meaning “continuous improvement”) for developing a conversion optimization strategy and the other is the LIFT Model that I mentioned earlier. Starting with developing a testing strategy allows us to ensure the conversion goals align with business goals. I emphasized the importance of business goal alignment in a blog post called “Don’t try to lower your bounce rate”. We always start there to clarify what success for the website actually looks like relative to the business and, just as important, how to measure it. The Kaizen Plan takes a week or two to develop with our clients. We gather information from an in-depth questionnaire, investigate their web analytics and any available customer research, perform a heuristic site analysis and interview stakeholders. All this information is percolated and compared to come up with a prioritization of Conversion Optimization focal areas within the site. Essentially, we come up with a prioritized list of tests to maximize the return on effort for testing. Then, for each focal area, we analyze the on-page experiences, create a test sequence for multiple tests on that area, then create an individual test plan. As part of the test plan development, we use the LIFT Model to create test hypotheses that are actually meant to solve persuasion and user experience problems, rather than just chasing the latest tips and tricks. I can’t overstate how important a process like this is to realizing continuous improvement of your site. I actually just wrote and released a free whitepaper this week called “Five Steps to Developing a Successful Conversion Optimization Strategy”. It expands on these topics and more. 5. Change one or change all? Oli: You have a client who wants to optimize his landing page and wants to see 2 strategies. Strategy 1: He’d like a Top 10 list of things to optimize/change/test on the page all in one experiment Strategy 2: One thing to change and some ideas of how to optimize it iteratively. What are your thoughts as to which is the best approach? Chris: The best approach to take for a series of tests depends on what the LIFT Analysis reveals to be conversion problem areas, so it’s difficult to generalize. I can say, however, that in most cases we get the best result by starting a series of tests with the higher level elements before moving into isolating individual hypotheses. If you start by testing dramatically different approaches with many hypotheses combined in each test variation, you’ll get faster results (whether positive or not). If the dramatic redesign doesn’t work, you can always move to isolating individual elements and will have saved time vs. starting with the longer-running individual element approach. Thanks to Chris for being our latest Conversion Hero and sharing his knowledge with the Unbounce blog readers.